Cheskitech: MyImgur - Upload All the Things(images)!!! MyImgur - Upload All the Things(images)!!! With my recent move over to Imgur, I needed a way to upload images that didn't rely on my browser. I found MyImgur, which is a free tool that is the next version of the older popular Tiny Uploader. 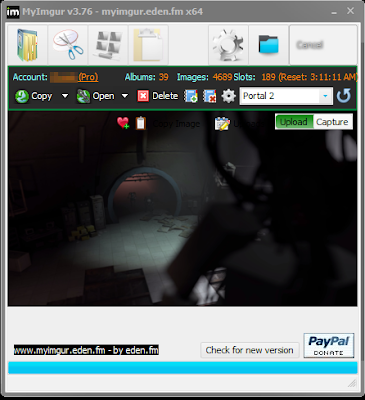 "MyImgur is the most handy capture and uploader tool you’ll ever find for Windows computers. Intuitive 1-click actions and simple settings to very quickly capture areas of your screen or specific windows and send them to Imgur for sharing, or select a few files from your computer and drag them to Imgur to have them sent in a batch without any further actions. 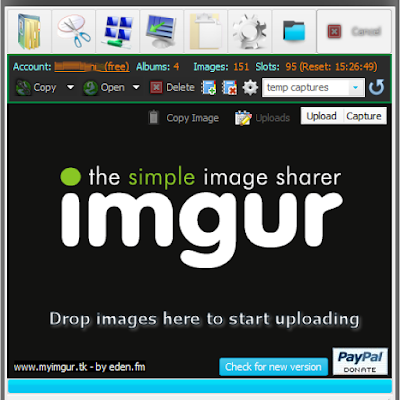 It is also the -only- desktop application with full Imgur account support." Most handy? Maybe. It certainly is useful and it does work. 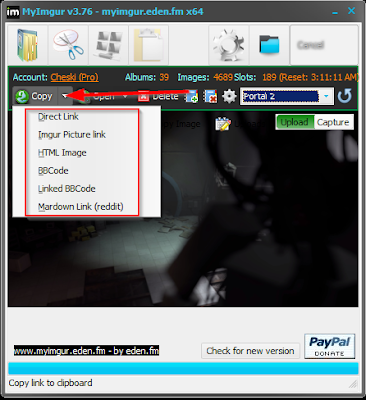 Greenshot works great for a quick capture and upload to Imgur, but doesn't support bulk uploading of existing files. The interface is decent enough, but I can help but feel that form lost out to function. Creating or deleting an album is quick and easy. Uploading and quickly getting a link (tailored for your need) is easy as well. All in all, MyImgur gets the job done and is a worthwhile install.